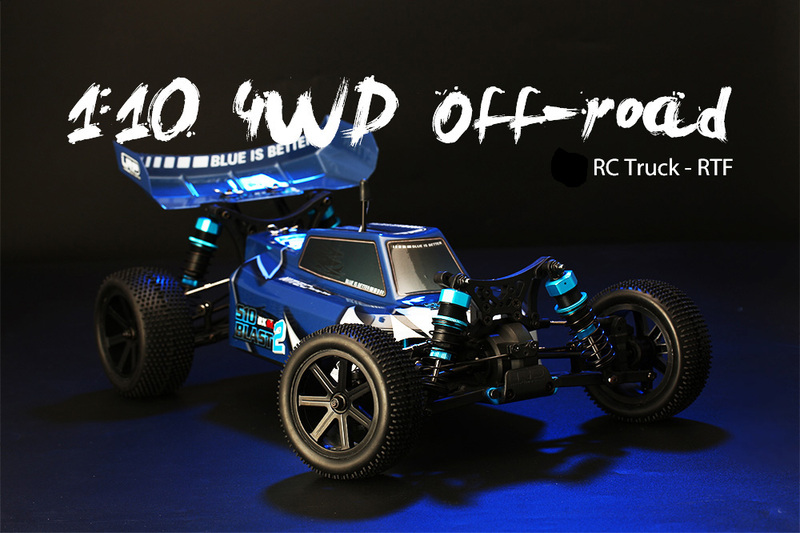 With new design, 1:10 4WD off-road RC truck will greatly ignite your passion for racing. 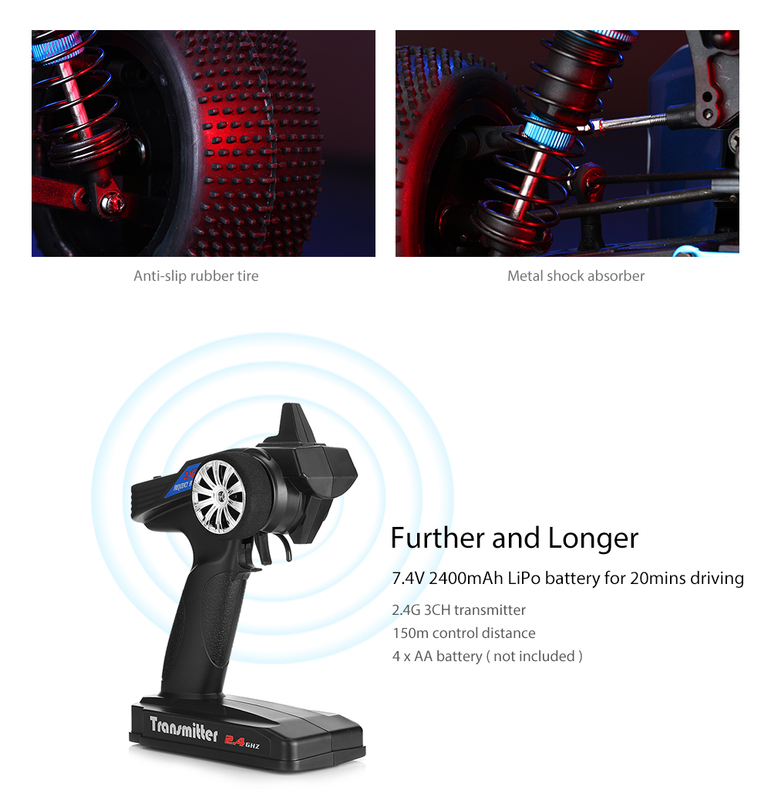 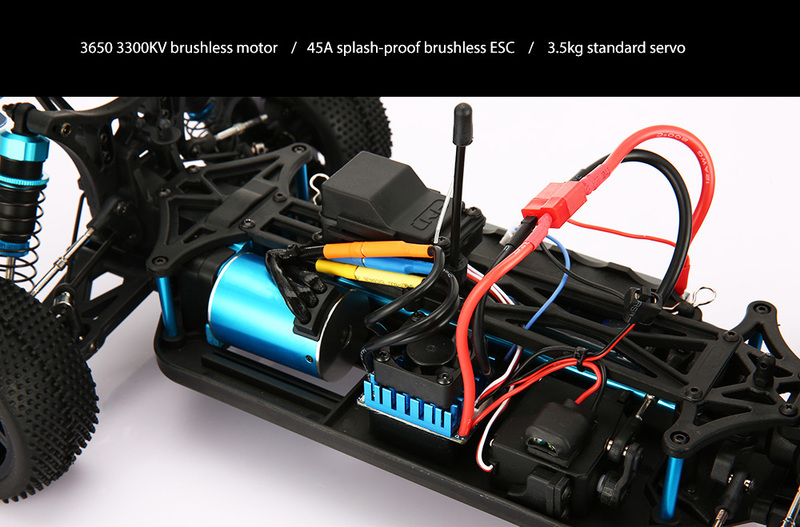 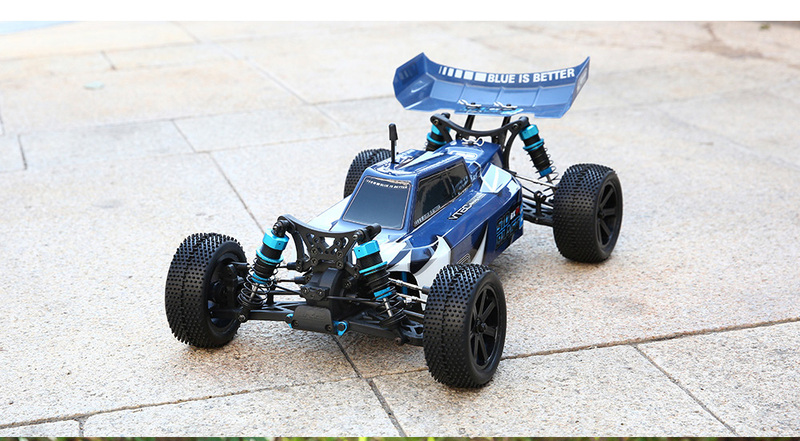 Equipped with 3650 3300KV brushless motor, 45A ESC and 3.5kg standard servo, this RC car has an excellent performance. 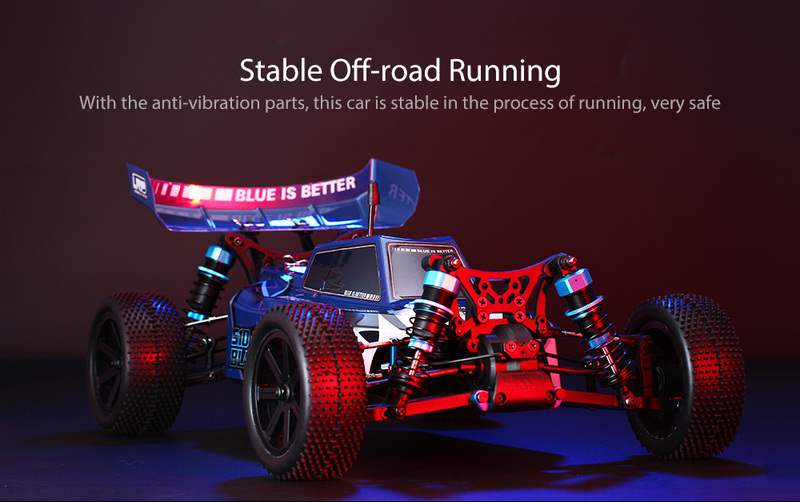 With the anti-vibration parts, this car is stable in the process of running. 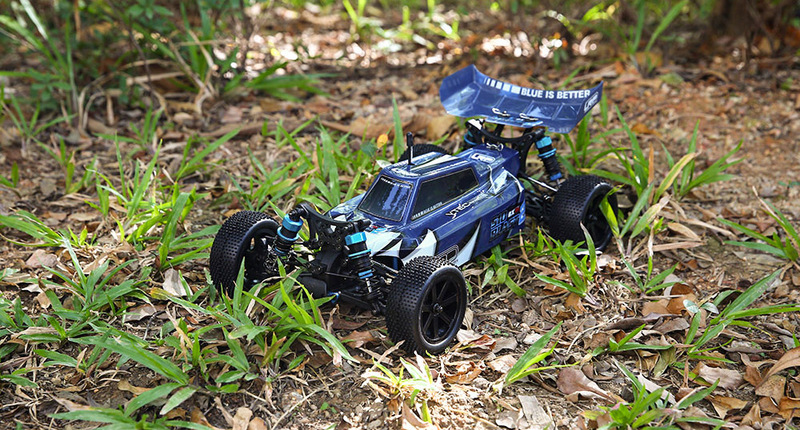 What’s more, rapid response to remote control dramatically expands playability of the truck. 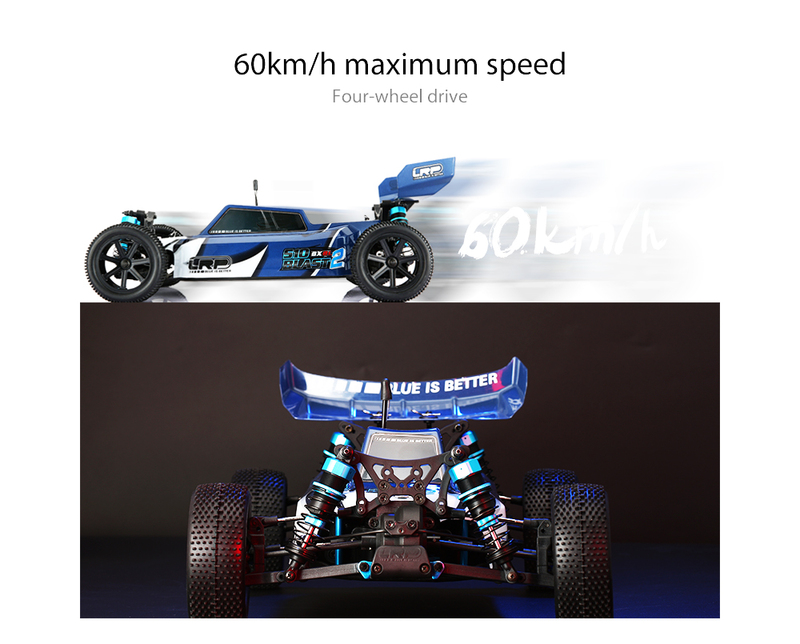 In addition, you will be greatly satisfied with the long-lasting 20mins driving.